Last Saturday, 16 June, Colonel Hilary Williams, Commandant of Lancashire Army Cadet Force, represented the Army Cadet Force Association at an audience with His Holiness The Dalai Lama in Manchester. Organised by Tibet House and the National Council for Voluntary Youth Services, the event was held "to celebrate the invaluable work that youth organisations play in spreading compassion and well-being amongst young people and to thank those involved in supporting and inspiring them". "His Holiness The Dalai Lama started the morning session, sitting at a table in his brightly coloured robes by outlining his view that the 20th Century had been one in which problems were solved by aggression and use of force. He believed this was wrong and that dialogue should be the way of dealing with disputes between nations and individuals. He gave Iraq as an example; the original reason for conflict was a good one i.e. to bring democracy and the rule of law to the country, but the means of war created more problems than it solved. He believed that dialogue should have been used instead. He felt that older people were more set in their ways and that younger people were open to new ideas. He hoped that the youth of today would galvanise the 21st Century into solving problems by conversation and communication. He said quite a few times, leaning forward and waving his finger at us, that "trust comes from truth and honesty and that when trust has been established, friendship then develops". Young people always needed self confidence and this came from being nurtured by loving parents and families and ethics supplied by religion. In the modern world however, for some youngsters these were missing and therefore had to be replaced in a secular state. He also commented that it was perfectly possible to have ethical values that did not need religious beliefs. The Dalai Lama was sat at a table in front of a semi circle of about 250 members and the room was packed with standing room at the back. Answering a question by a youth leader stating that some members of her group had a number of personal issues to deal with, and did not come from loving homes, he referred to a 13th Century Tibetan sage, confronted with a similar problem, described his own problems which he believed were, as great or even greater. The message being that if young people realised that everyone has problems, some a lot worse, that they were not alone and this would help them to deal with it. We must give young people hope. Nothing obviously has changed over eight centuries. He then went on to talk about the time he spoke with the Queen Mother just before she died when she was 96 years of age. He told her that she had lived as long as the century and asked whether the end of the century had been better, worse or the same. The Queen Mother replied immediately, that it was better now, because human rights and self-determination are now openly discussed whereas before were not. There was no feeling of pomp or ceremony. He talked to us as his children or students and even when coming out with some profound statement he would say the words, nod his head and then laugh at the seriousness of it all. I just have to tell you that this amazing man is 77, loves chocolate and giggles a lot. He told stories of his earlier life that resembled any little boy’s childhood – sometimes naughty but always fun. He has charm, kindness and wisdom and had a room full of diverse and multi cultural youth leaders spellbound for two hours. I came away feeling that Cadet Force adult volunteers are giving young people the values and standards to build the foundations of the new century and that the ethics referred to by His Holiness as necessary for a successful life, are in place and working well in our organisation. If he ever attended a detachment parade night he would probably sit on the floor with the cadets, approve our values, giggle and eat the Naafi!". 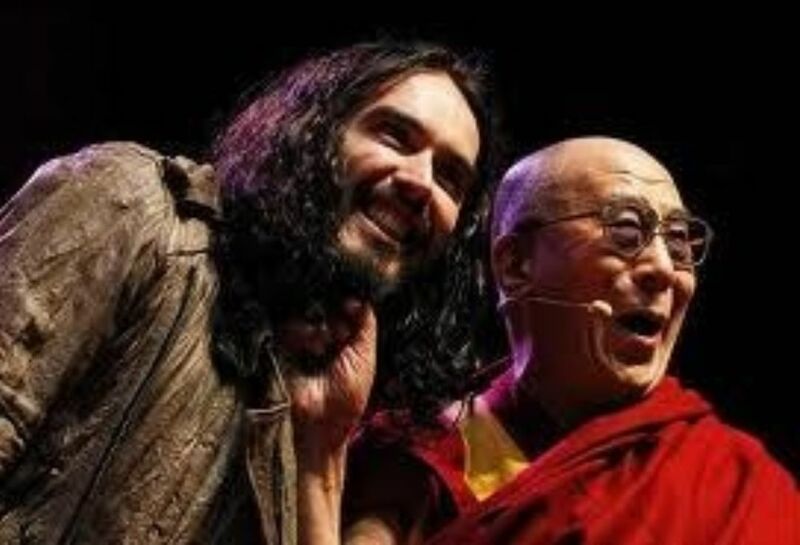 The current incumbent is the 14th Dalai Lama believed by the Tibetans to be the reincarnation of previous Dalai Lama. His Holiness is eternal. 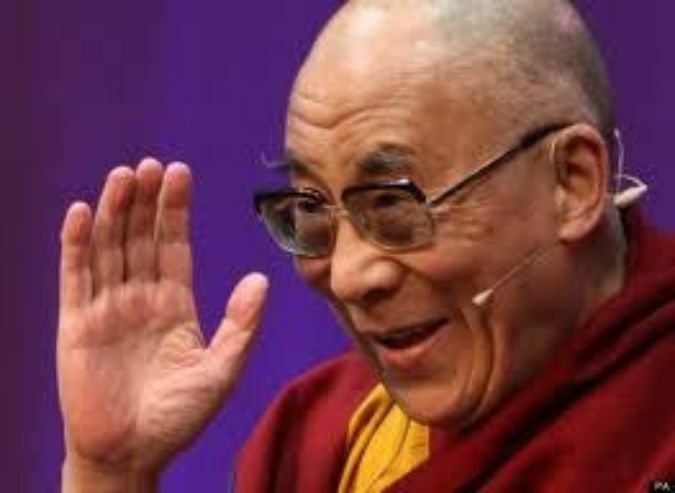 When a Dalai Lama dies, the spirit is immediately reincarnated into the next and tests are done at an early age to determine which child has received the spirit of the previous Dalai Lama. The monks are guided to the child who then has to identify items of the previous Dalai Lama. He is the religious leader of Tibet and also its Head of State. He lives the life of a Buddhist Monk rising at 3am to meditate for 5 hours and goes to bed by 7.30pm. He originally lived in Tibet but had to leave in 1959 when the Chinese invaded and currently lives in Dharamsala, India. He is much travelled around the world and has a reputation for straight talking to world leaders whilst munching their biscuits!